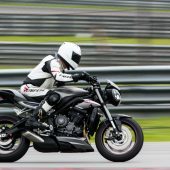 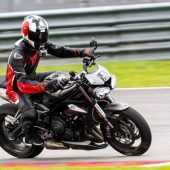 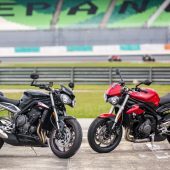 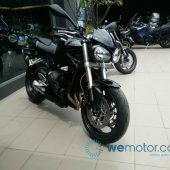 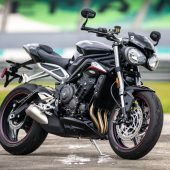 Fast Bikes Sdn Bhd today introduced three new variants of the Triumph Street Triple naked motorcycle, the Street Triple S, Street Triple RS and Street Triple R Low Ride Height (LRH), priced at RM52,900, RM59,900 and RM66,900 respectively. 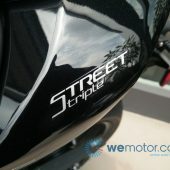 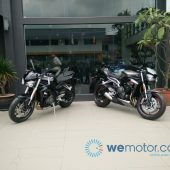 All three variants are powered by a 765cc liquid-cooled, 12-valve DOHC three-cylinder in-line engine which generates 111hp at 11,250rpm and 73Nm at 9,100rpm in the Street Triple S, 116hp at 12,000rpm and 77Nm at 9,400rpm for the Street Triple R (LRH) and 121hp at 11,700rpm and 77Nm at 10,800rpm for the Street Triple RS, all mated to a six-speed transmission. 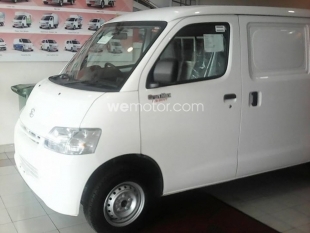 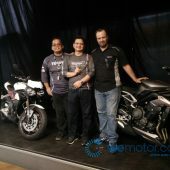 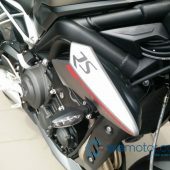 All three variants feature a multipoint sequential electronic fuel injection with SAI and electronic throttle control, and the exhaust system is also the same across all variants with a stainless steel three into one exhaust system with a low single sided stainless steel silencer. 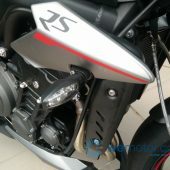 Power is channeled through a wet, multi-plate clutch with slip and assist function, and the RS is the only variant with quick shifter as standard. 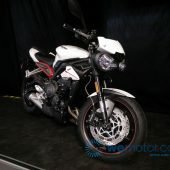 The Street Triple S gets two riding modes – rain and road – with ABS and Triumph Traction Control, while the RS gets five modes – rain, road, sport, track and one more rider programmable mode with customisable electronic interference, and the R variant features all the same riding modes as the RS except track mode. 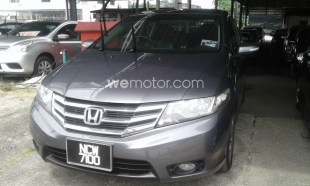 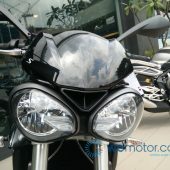 All variants come with ABS and switchable traction control as standard. 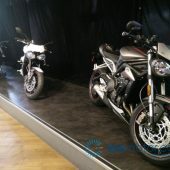 The Triple S comes in three colours – Diablo Red and Phantom Black – while the Street Triple R (LRH) comes in three colours – Crystal White, Phantom Black and Matt Silver Ice – and the Street Triple RS is available in two colours – Matt Silver Ice and Phantom Black (Metallic). 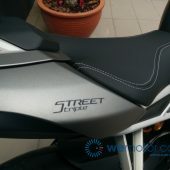 The overall design of the model has been updated with new bodywork including new inner and outer radiator cowls, front and rear mudguards and rear body panels, while the R and RS variants feature daytime running lights (DRLs) brighter than the previous generation model. 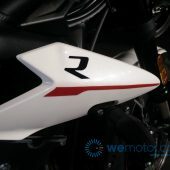 Additionally, the RS features a colour-coded belly pan, colour-coded pillion seat cowl with interchangeable pillion seat as standard and a lower chain guard. 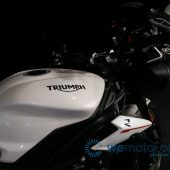 Overall quality has also been improved over the older model, with special attention paid to the quality and ergonomic placement of switches for use at high speed, and the R and RS feature an all-new intuitive five-way joystick control. 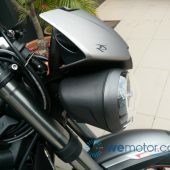 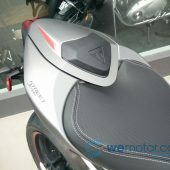 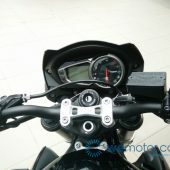 The instrument cluster has been updated, with the S variant getting an updated LCD instrument screen that displays fuel gauge, odometer and trip meter, while the R and RS variants get an all-new five-inch TFT display which offers four different themes that change the layout of information pertaining to the riding modes and is also adjustable for riders of different heights. 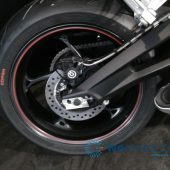 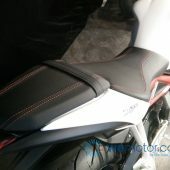 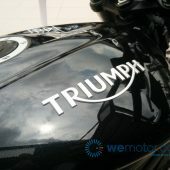 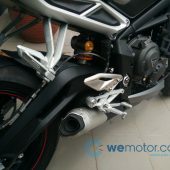 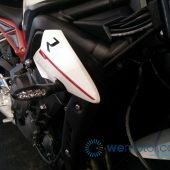 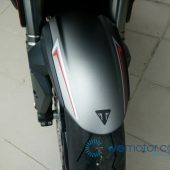 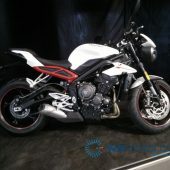 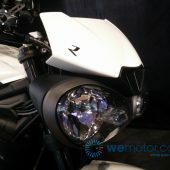 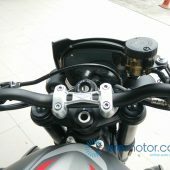 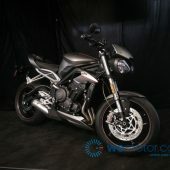 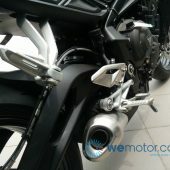 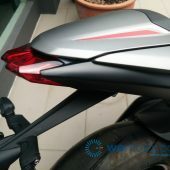 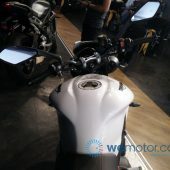 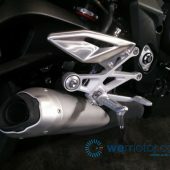 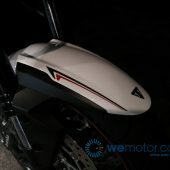 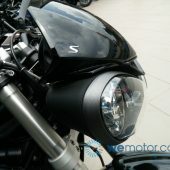 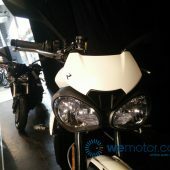 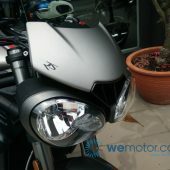 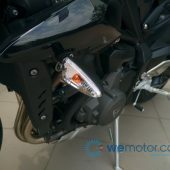 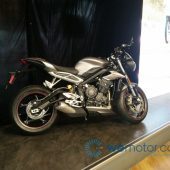 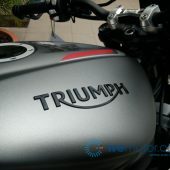 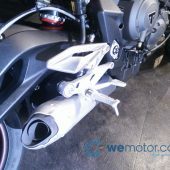 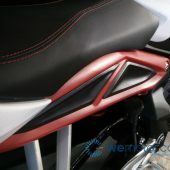 Besides that, the model also features redesigned rider heel guards and forged pillion footrest hangers, and as for the frame, the Street Triple S gets a black powder coated main frame, subframe and swingarm while the R features a signature red rear subframe and wheel pinstripes, and the RS gets a matt aluminium silver painted rear subframe.